Ask us about custom dates that work around your busy schedule! Accommodations are NOT included – local hotel suggestions will be available prior to your travel dates. Each course varies in times and hours depending on the number of participants. This schedule layout and content may be changed at any time without notice as needed. $500 (non-refundable) deposit due at time of registration. 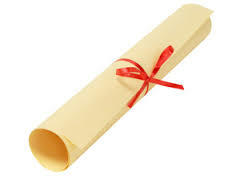 Your certificate issued to you upon successful completion of the course. CSCH founder and instructor Mary Taylor is uniquely positioned to deliver this course to the highest of standards. She is co- founder of the Canadian Association of Colon Therapists (C-ACT) and a professional public speaker with her fun topic, “The Scoop on Poop.” Contrary to the industry norm, Vitality Source enjoyed an increase in revenue of 45% in its second year of operation.